Home > Manufacturing | Manufacturing Sales > Do You Set Goals or Give Commitments? It occurred to me while reading The Corner Office column in the business section of the New York Times on August 12, 2013 that I have been setting goals for years without really understanding that I was focusing on the wrong thing. I should have been focusing on commitments. 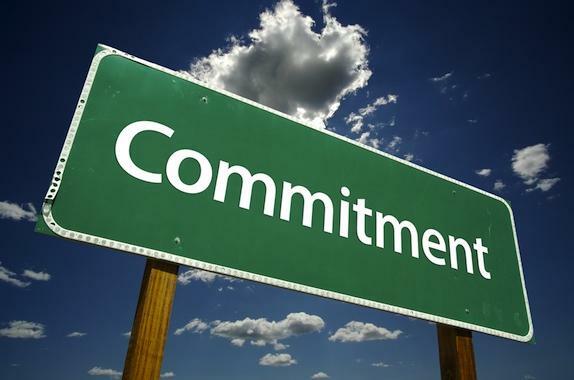 This thought process made it easier for me to grasp the wisdom of giving commitments, not setting goals. After all a goal is defined as the result or achievement toward which effort is directed. Goals are a target, objective, or an intention. I no longer want sales representatives who try to develop thermoforming sales to tell me their goal is to achieve a certain number of sales over a period of time. I now want them to give me a commitment that they will attain a certain level of sales. If they can’t commit, they cannot achieve. If we all approached the success we desire as a commitment it would follow that the probability of success would be greatly increased. You can read the complete interview with Mr. Martin by clicking on the Corner Office link at the beginning of this article.